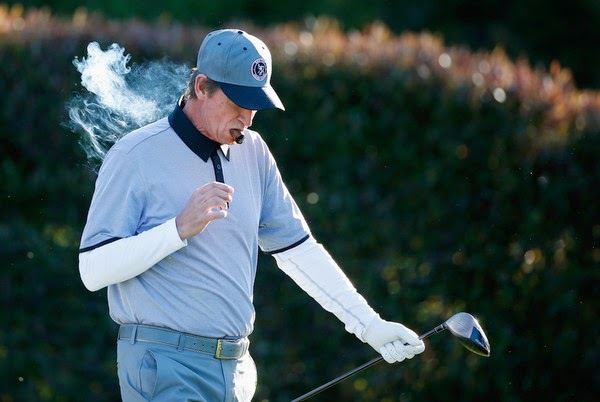 Watching the AT&T Pebble Beach National Pro-Am this weekend got me thinking about cigar smoking on the golf course. While I’ve on occasion enjoyed a cigar both socially (ah! Miami) and on the golf course. 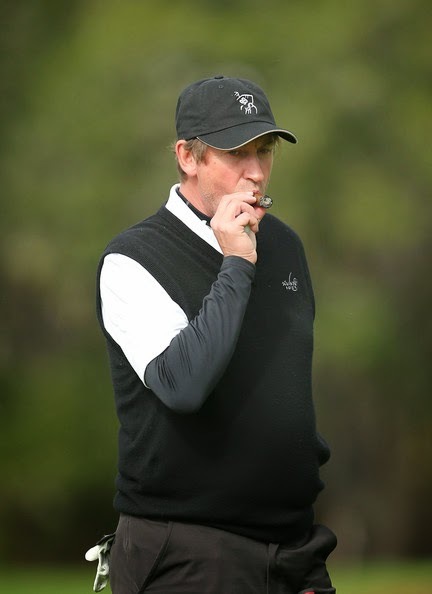 It’s always smart to go over a few points of etiquette before you light up on the golf course even for the veteran cigar aficionado and especially the newbie. Before you light up be sure and ask your playing partners if it’s OK if you light up. It’s all about respect. It’s never cool to light another man’s cigar or share, so bring a few extra for those that want to indulge with you out on the links. Bring a variety of cigars as well as flavours and strengths as most newbies might not want to start out with a Presidente. That’s when you search out some great cigar deals online. Lighting the cigar in a “three-club” wind can be difficult make sure you bring along a good torch type lighter that will do the trick. Tossing your cigar down on the grass while you hit your tee shot, not the best idea considering the different fertilizers golf courses use. So finding the right holder is important. I’ve used a DivPro that works pretty good out on the course. So you want to make sure your cigars are protected from damage, especially if you’re carrying your clubs so a sturdy container is a must. A Tupperware or glass container or any other durable carrying case will work perfectly. 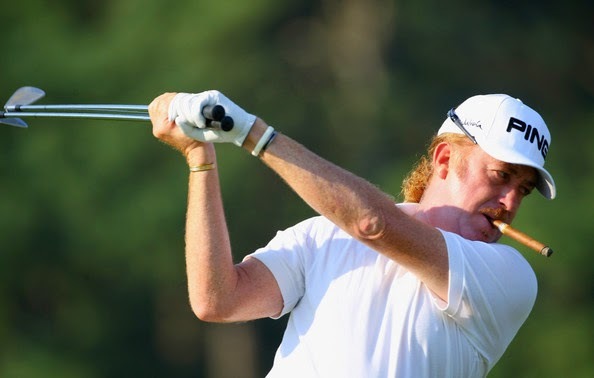 Odds are after hitting your drive into the trees or chatting with friends on the course you may end of leaving your cigar just about anywhere. Be sure to bring cigars you won’t be upset about leaving behind. Pick up an inexpensive cutter to keep in your golf bag and it will save you a lot of headaches. Plus it might make you a few friends along the way. So do you have any more etiquette/ rules for the golf course?